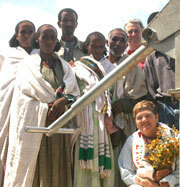 Frequently Asked Questions about <em>Wellwishers</em> Australia - funding hand dug water wells in Tigray Province, Ethiopia. Common questions asked and answered. How much does a hand dug well cost to build? Where are the wells built? Who chooses which village gets a well? How much of my money goes towards the building of wells? Do individual villages receive the money? Are there any pastoral or evangelical activities involved? How do I know if the wells are built? How many people benefit from each well? Who looks after the wells? Why Hand Dug Wells (HDW)? How are the wells built? Who is REST (Relief Society for Tigray)? How do you know water will be found at the drill site? What do the villagers provide? What else is done in the area regarding Water Management? What is the quality of water like? Is there follow-up on water quality? Is the Water Quality & Quantity Sustainable? What if no water is found? Do the families pay to use the well? Can people outside of the village use the well? Where are all the completed wells located? A well costs approximately $6,800 Australian Dollars or about USD $5,000. This amount also includes all hydro-geographical costs and all education matters (HIV and AIDS, family planning, book keeping and maintenance skills). 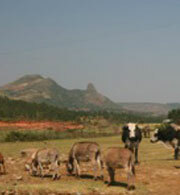 In the rural and remote villages of northern Tigray Province in Ethiopia. WellWishers has set a village criteria of an average of 170 people to a well (although we target more wherever possible), with a current return walking distance to collect water of two hours excluding waiting time (rarely less that 30 minutes). Our Ethiopian partner NGO (Non-Government Organization) REST [Relief Society of Tigray] conducts village research and evaluation plus hydro-geological surveys. The final selection is done in conjunction with the village. Hand Dug Wells are constructed in villages where no other technology will work, or where it is necessary to carry all contruction equipment and materials in by hand because of terrain. WellWishers pledge that over 96% of donations are sent to Ethiopia and that all the money is used for the geological surveys, site selection, village evaluation, design and construction, monitoring and and extensive education in health and sanitation work, including training in latrine contruction. Yes, donations over $2.00 are tax deductible, provided you pay tax in Australia. No – there is no payment to any village or villager. No there are not. WellWishers have total respect for the people's culture and religious beliefs, without any interference. WellWishers receive detailed reports from REST on site location, village populations and follow-up monitoring, plus inspection reports from an independent NGO that has been working in Ethiopia for more than 30 years. Approximately 170 people benefit from each new well, although this number can increase if the villagers allow nearby villages to use it, such is their generosity. The villagers themselves form a 6-person Water and Sanitation Committee, (WATSAN) [with a majority of women]. They are then given instruction in maintenance and bookkeeping. They are supplied with initial spare parts and an accounts book. The Committee appoints a caretaker who unlocks the well [usually early morning and late afternoon – to control, water usage). The Villagers also construct a stone wall surround to keep out animals and an overflow drain that is usually directed towards irrigating gardens. These wells have been built for over 30 years now and have proven the most effective way of providing water to this area. The wells are capped and fitted with a hand operated pump. If at any time there is a blockage or break down, the cap can be removed from the top of the well and buckets can be used thus ensuring the continuation of clean water supply. The pump unit is simple to maintain and easy for a child to use. Many thousands of these pumps are used world-wide. The villagers dig by hand (shovel) down to rock which can be up to 5 metres deep. Internal scaffolding provides safety. Upon reaching rock, the excavated hole (1800mm diameter) is lined with stone located by the villagers in the general area. 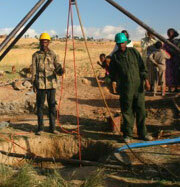 They are not paid for any of this work as it is part of their obligations in receiving a well for the village. This reduces costs, meaning we can fund more wells for others. Once reaching rock, REST (our partner organisation) then blast their way through rock (usually about 150 mm depth average per day) until water level is reached. The excavated hole is continually pumped out, whilst REST dig down a further 5 or 6 metres below water table level. This ensures the villagers always have access to clean water, because the water table temporarily drops as the dry season progresses. A well might end up 20 to 25 metres deep. All work is carried out by Ethiopians. 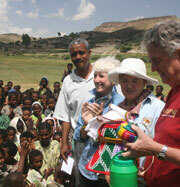 REST was formed 40 years ago with 33 years of that being involved with Community Aid Abroad (now Oxfam Australia). In fact, the wells programme in its current design (post-1995) was jointly instigated by REST & Oxfam Australia. This relationship gave us the confidence to start supporting the programme in 2002. REST is the largest NGO in Ethiopia and is one of the biggest in Africa. They are very professional and we are very happy with the work they do. We have an independent NGO (Norwegian Church Aid - NCA - 35 years in Ethiopia) monitoring & evaluating REST's work, to ensure that all is done in accordance with the Agreements we all sign before work commences on each year's wells. Well we never know for sure but in the 10 years we’ve been funding the construction of wells, only about 2% of sites were found not to have water, which is an extremely good strike rate. The following gives an idea how this is achieved. 1. Due to budgetary limitations, REST don’t have surface water studies or hydrogeological information, but their university-educated hydrogeologists prepare their own data base by adding available information from BoWR’s regional office (Tigray’s Bureau of Water Resources). 2. REST discuss the needy village priority with BoWR (provided by the government - REST can’t make decision but they can give advice/recommendations). 3. REST then visit each nominated village to discuss access to ground water possibilities with the elders to utilise indigenous knowledge. 4. The proposed site must be within 2 km walking distance of the beneficiaries. 5. REST examine the rock nature; type; extent of fracturing; ability to recharge water table level; discharge relationship (i.e. seepage); condition of alluvial soil; extent of catchment; assess major faults & fractures; check occurrence of vegetation. 6. If a decision still cannot be made (but a positive trend is evident), REST will arrange for an aerial survey to be carried out. 7. If after cross-checking all of the above, a positive decision is reached, the Community and REST then sign an Agreement. The villagers provide storage facilities, labour, stone and sand during construction plus construct a stone surrounding wall to keep out livestock. The WATSAN committee then carry out all maintenance work. They maintain account books for collection of money from those families using the well. From these funds, they buy replacement parts when required and they employ their own caretaker. REST has instigated an integrated programme of tree planting, using local labour [to stop erosion], terracing [using local stone and labour] to harvest water and slow down water flows thus reducing erosion. Check Dams are built in gullies to extend the crop season, to provide water for livestock and to replenish ground water supplies. Micro and Macro dams, along with irrigation channels are also constructed. Major buildings such as schools and health clinics are being fitted with gutters and rain water tanks. Tests are carried out regularly to check on water quality and to date all water from HDWs adhere to WHO (World Health Organisation) standards. The Water Conservation Department of each Woreda [administrative district] has Annual Water Testing carried out. 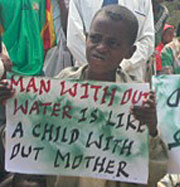 Also if there is any doubt in the minds of the WATSON Committee, they will request a water test from the Woreda. 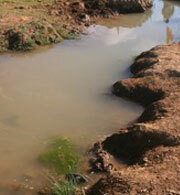 Water quality is tested when the water table is reached during excavation. The villagers are taught how to check monthly on tell-tale signs re quality. If they have any doubt, they contact the authorities. Additionally, the water & health authorities usually check it twice annually. To sustain water levels, the wells are usually opened for a max. of 7 hours a day. Only about 2.5% of wells built since 1995 are dry, usually due to poor maintenance. The villagers are trained how to maintain the wells. We spot check that annually. 8 to 12 months after completion, REST check maintenance is being done correctly. We ask the villagers to strip a pump so we see for ourselves they know how to do it. An independent NGO visits the sites, checking the education process is done. The villagers have a built-in incentive to maintain the well – i.e to avoid getting sick. The treasurer is taught bookkeeping skills to record fees given by user families. Check dams are built to slow flows when it rains, allowing water replenishment. The theoretical life of a HDW is 15 years. Many wells have now been in operation for longer than that, due mainly to good management by the Water Sanitation Committee [WATSAN]. Out of the over 7,000 to date (not all by WellWishers), less than 3% have gone dry and that is mainly due to over usage or varying ground water levels. What if no water is found during construction? Yes, this can occur but is usually less than 5% of the time. In these cases, further survey work will be done to place a well in another position that unfortunately may be some distance from the village. The decision to pay is up to the individual villages. 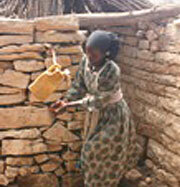 However most villages with HDWs charge each family a small amount per month for use of the well. It is usually about 15 cents per month. The money is collected by WATSAN and used for spare parts as well as employing the caretaker. Some villages have begun small Micro Credit Schemes with the surplus money. Most villages allow outsiders to use the well under special circumstances. If the well was to be used by more than the population of the village, it would mean that water tables would be over utilised and this would cause problems for future water supplies. Therefore strict hours of operation are enforced. However circumstances such as ill health and use of medication by those outside of the village are considered special circumstances and those requiring clean water will be granted it. The need for family planning is something we became very aware of during the first visit to Ethiopia in 2003 and we have been encouraging it ever since. A lot of work had already been done in stemming the then rampaging birth rate. Based on anecdotal information, the average number of children per family in the previous generation was about 6 or 7. Today, it is 3 or 4 but the younger women (in their 20s) say they plan to have just 2 or 3, with the full support of their husbands. Very encouraging. Contraception is by tablet, condom or a capsule injected into their upper arm, the last mentioned 'bleeds' slowly into the system and can be removed if desired. Click here to download 'Summary of Wells built since 2002' pdf. Click here to download 'List of Individual Wells Constructed in 2013 and their Current Status' pdf. Click here to download 'List of Individual Wells Constructed and their Current Status' pdf.